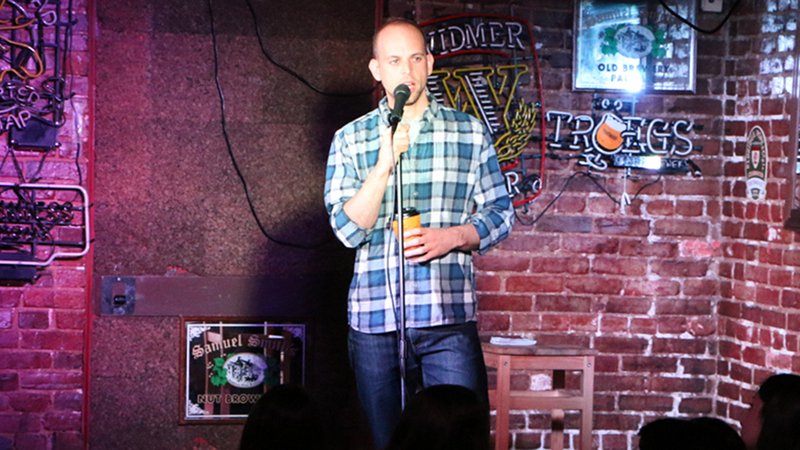 Lance Weiss’ unique sense of humor and comedic timing have made him one of the most requested comedians performing on the New York City scene today. Time after time, Lance has proven that he is a valiant force in the entertainment industry and his career is destined for stardom. Lance began his career as a cast member of the improv troupe GPIG while attending Georgetown University. His first stand-up appearance was as a participant in the Funniest Man on Campus contest, putting Weiss on a path that would change his life. Lance soon began hitting the comedy scene and making his rounds in Washington DC when soon after DC’s hottest comedy venue, The DC Improv, came calling. Lance soon out grew Washington DC and made the jump to NYC, where he was quickly embraced by the comedy scene performing nightly at the city’s top clubs, including Carolines On Broadway, Broadway Comedy Club, New York Comedy Club, Gotham Comedy Club, and Stand-Up NY, among others. When not honing his craft in NYC, Lance tours the clubs and colleges nation-wide with The Fifth Year Comedy Tour, Laugh Hard or Die Trying Tour, and The Almost Famous Tour. He has also performed as an opening act for VH1’s Best Week Ever Tour Live. Lance has also participated in numerous comedy festivals and contests over the years. In 2010, he was named a semi-finalist in the NY’s Funniest Stand-up Competition, chosen from hundreds of comedians. He has also performed in the NY Comedy Contest, the Hoboken Comedy Festival, Carolines March Comedy Madness, Trial By Laughter in Indianapolis, and the Laughing Skull Comedy Festival in Atlanta. Comedy is not Lance’s only forte; on the small screen his credits include MTV, Comcast, and the MSG Network. As front man for AT&T, Lance is a familiar face on many of their television commercials and campaigns, and Kit Kat has tapped his vocal talents for their radio advertisements. Listeners may also recognize his voice from his work on XM Radio. Currently, Lance produces a sold-out weekly standup show, Gandhi, is that you?, on the Lower East Side of NYC. The show has grown to be one of the most popular alternative comedy shows in the city. Lance currently calls New York City his home. He enjoys chocolate milk and grilled cheese sandwiches.